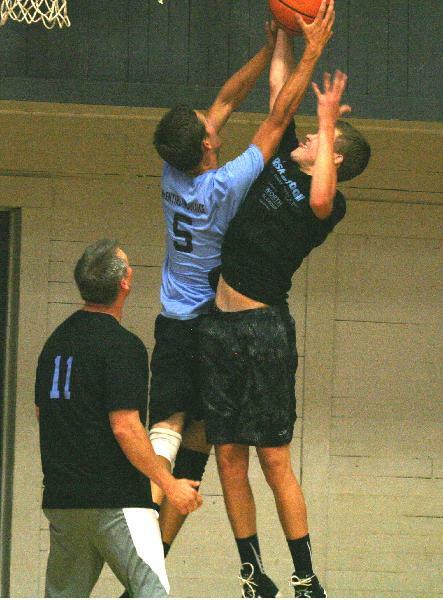 We offer two leagues for Adult Basketball: Open League and 30 & Over League. The Open League is available to anyone 18 years and older. The 30 & Over League is for all adults age 30 and up; each team may have two players between the ages of 18 and 29. For both leagues, you may register as a team or individual. Individuals will be assigned to teams on a first come, first served basis, but there is no guarantee that all individuals will be placed onto teams. The cost to register is $400 per team, or $40 per player if you sign up individually. Registration will open in Spring 2019. Forms may be turned in at Stearns Gym or e-mailed to recreation@polknc.org. Games will start in June. What if I do not have a team to sign up with? You may still sign up without a team by filling out the registration form, however you will not be guaranteed a spot. Individual players will be assigned to teams in the order that they sign up. Is it possible to have a team sponsor? Yes. We encourage teams to find sponsors. If the sponsor wants to have their name on the back of the team jerseys, they must pay the full $200 sponsorship fee. The amount that the sponsor pays is subtracted from the amount that the team is required to pay. Games may be played at Polk County Middle School, Polk County High School, Polk Central Elementary or Stearns Gym. Games will start no earlier than 5:30pm, and will typically take place on Mondays, Tuesdays, and Thursdays.